It’s time for me to start posting some of the weddings and photos shoots that I have the opportunity to be a part of. So my first one to share is an amazing Navy bride and groom. From meeting them, to their engagement photos to their wedding, they were fun, happy and definitely in love! Truly an awesome couple! 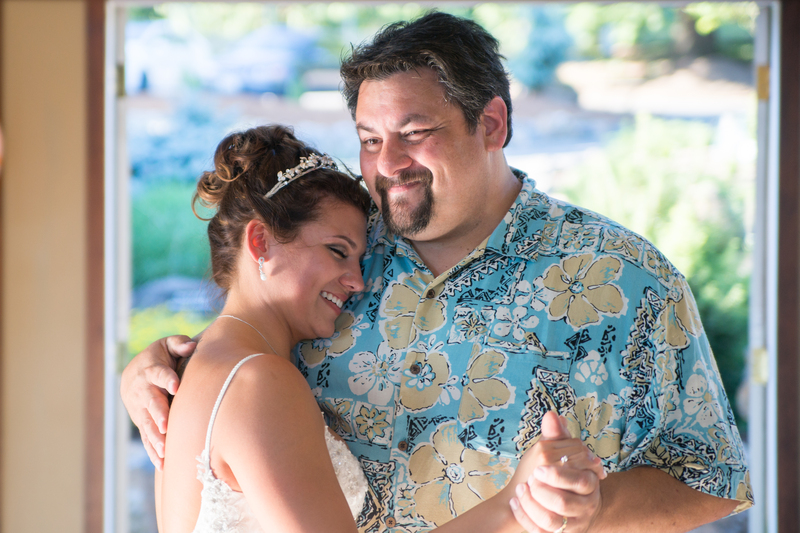 Their wedding was at Maple Leaf Events Center, which is a beautiful venue. 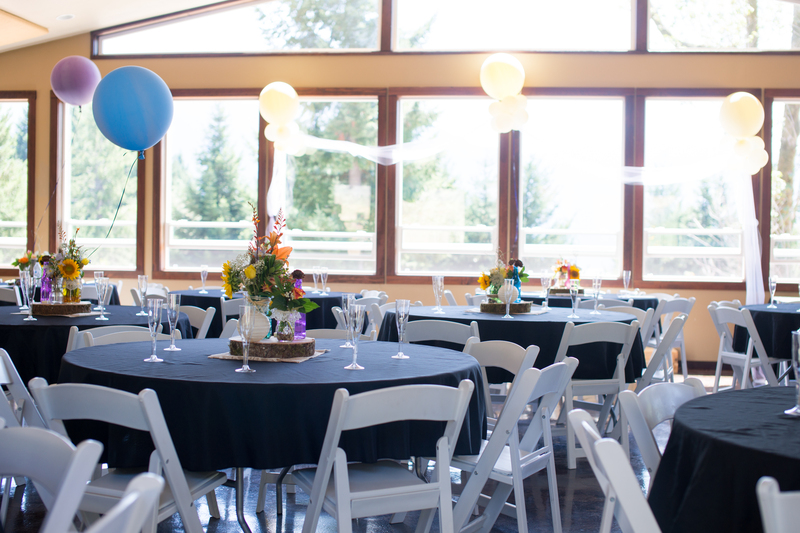 If you’re looking for a nice venue in the Columbia River Gorge, this is one to look at! It has a nice rustic feel with all the amenities you could need. It’s in Stevenson, WA, just under an hour East of Portland, OR (or Vancouver, WA). Here is a look at the indoor reception area all set up. Look at all those windows!!! 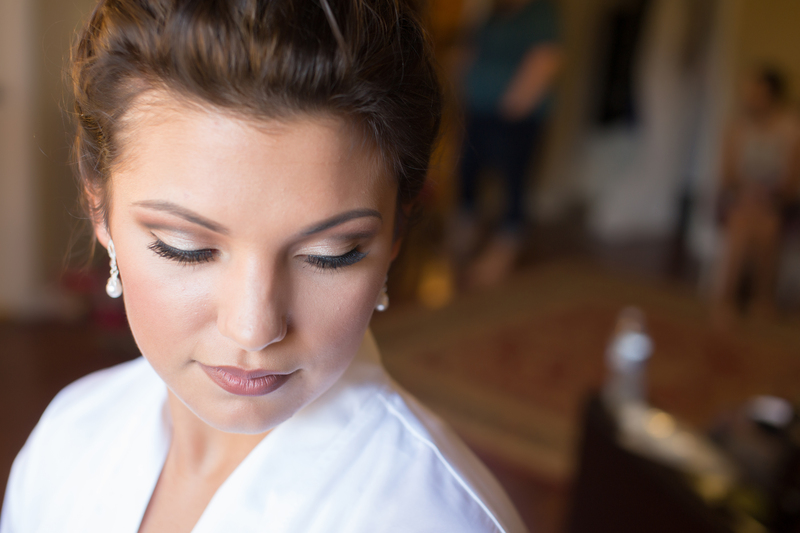 Makeup and hair was done by Lauren Jared and she did an amazing job! Everyone’s makeup and hair was spot on. I wish she was closer, so I could call on her more often when I have clients looking for hair and makeup! One really fun, different part of Justine and Kyle’s wedding was their “dirt ceremony.” It sounds like they were rolling around on the ground or something. But it was really a cool twist on the sand ceremony that everyone sees done so often. 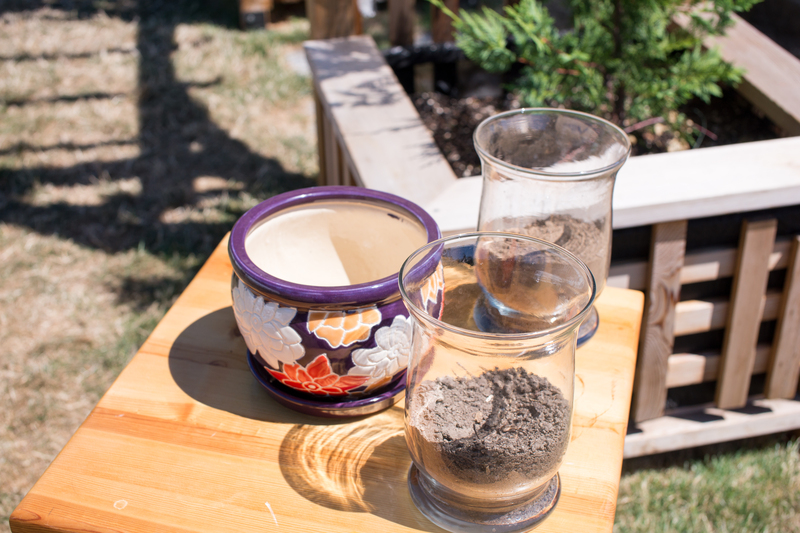 They each went to their hometown, got a small pot of dirt from each and during the wedding ceremony, they combined them each together and then plant something in the combined dirt. How awesome is that?! They even had to make their way to Montana for Kyle’s! It was a beautiful day for a wedding! The sun was out, everyone was happy and excited for them. 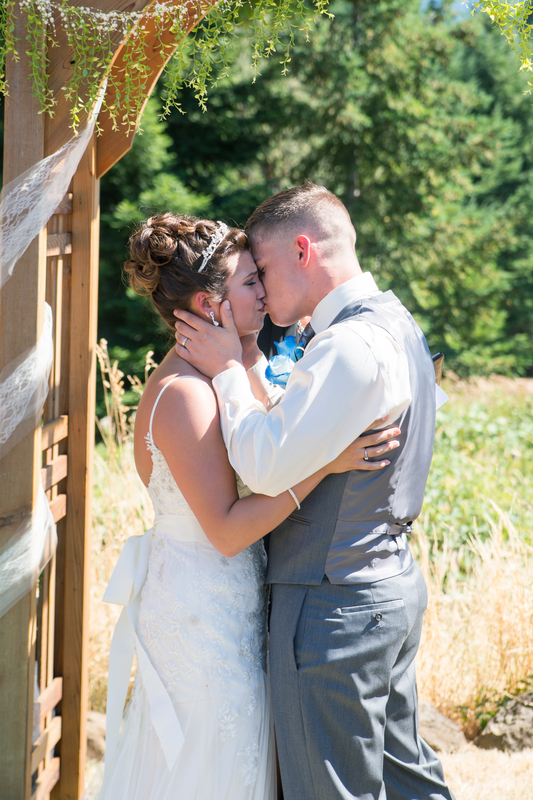 It was warm and everyone was, of course, waiting for the kiss and Kyle and Justine to be husband and wife. I always love to get some time with just the bride and groom. Those photos are some of the funnest, most sincere and most natural of all of the ones that get taken. 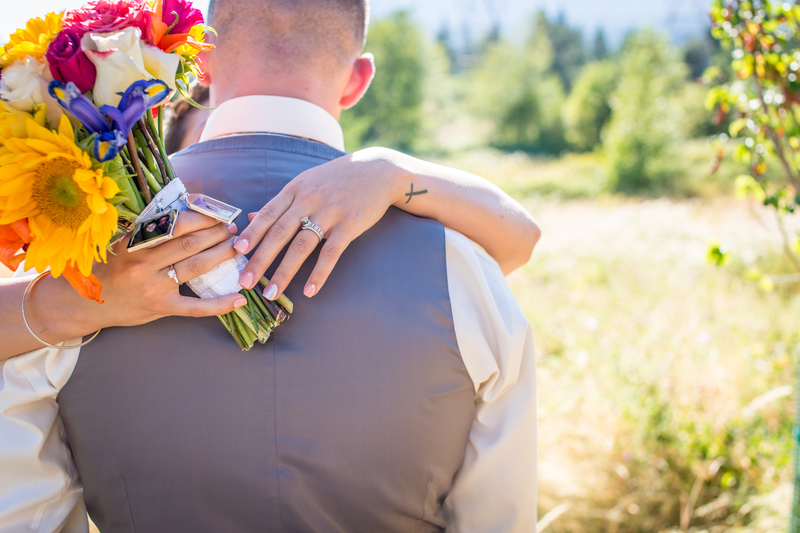 This particular photo catches the little details that so many brides will include. Special little photo frames on her bouquet for family that couldn’t be part of her special day. 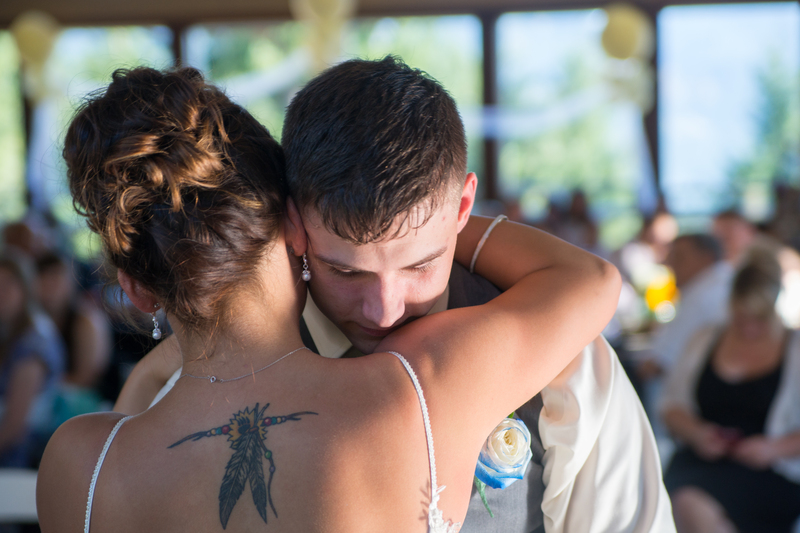 The first dance is so emotional and such a fun thing to photograph. Catching the right angle or the right light isn’t always the easiest. But when you do, it’s a beautiful thing. This shot was natural light only from the open door. Of course, after the first dance, comes the daddy-daughter dance. You can usually see some pretty big emotions here also. Daddy being happy for his daughter, but at the same time, sad to see her “growing up.” Many times, I’ll also see or hear little words of wisdom being passed along. I love this photo for the big happy smile on dad’s face. This was such a fun wedding. I am so glad that I got to capture the memories of their day that they can treasure for years to come!